Benita Iyere-Okojie is a Nigerian gospel artiste who started singing from a very young age. She is possibly best known for her popular single, Osemudiamen, released when she was just 12 years old. We Ose was released as part of her "Dream Come True" album, and it is a delicious blend of Esan (Ishan), Yoruba and English. Oh, and the native attire is beautiful too. Authentic! 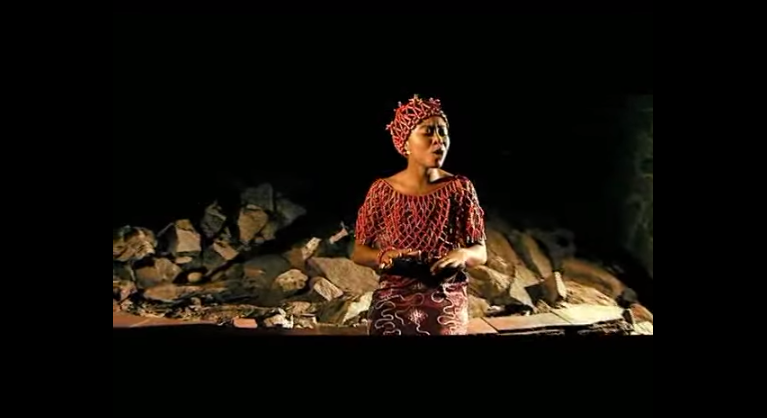 The video actually won the Best Indigenous Concept Award at the 2009 Nigerian Music Video Awards, and as you watch it (if you haven't already), you'll see why. I love the quality, the atmosphere and the general mix of cultural elements in this video. Plus, there's a sax playing the background for goodness sakes! What's not to love? You went MIA! Hope all is well.... Checking on you. Sisi Blu: Thank you so much for checking up on me! I appreciate it o!